How are we only a month away from your first birthday? It makes me sad to think that you’re already so close to being a toddler rather than a baby. You’ll always be my baby though, no matter how big you get! As sad as it is when you stop doing funny little things, there’s always a new thing to follow. It’s just part of a natural, healthy progression. Daddy has previously taken you to soft play, when Mummy went to Download Festival. However, Mummy got to take you for the first time this month! You loved the tunnel and climbing the steps. From all your laughing and clapping, I think it’d be fair to say you enjoyed it. 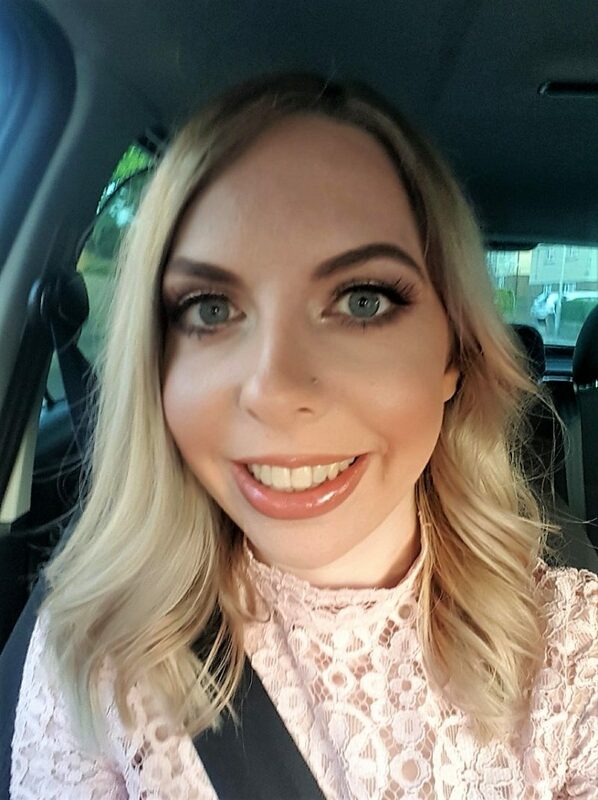 Okay, so not really (thankfully!) You went to what I think was your first party. It was our friend’s 1st birthday party so we spent a lovely afternoon there. 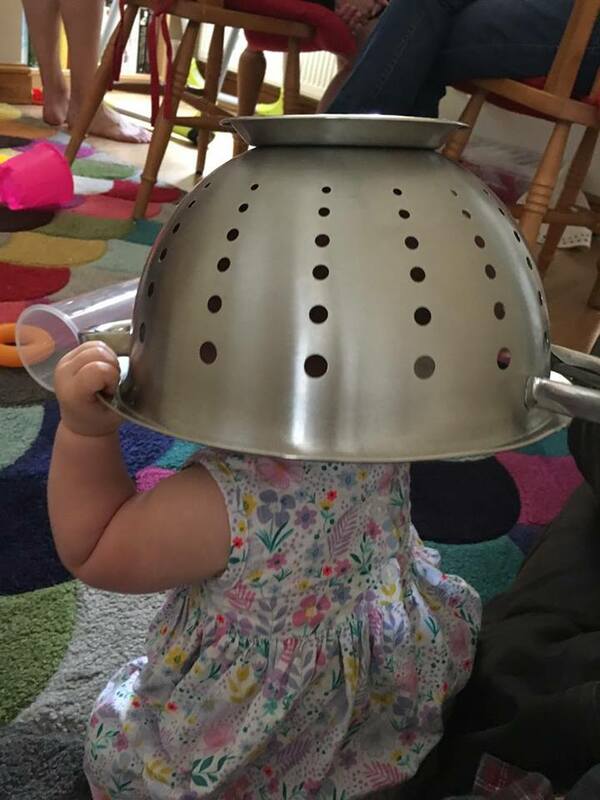 For some reason you decided to wear a colander on your head! I thought you looked like a dalek. Oddly, you seemed to quite like it under there! You did it all by yourself and you were making excitable noises. 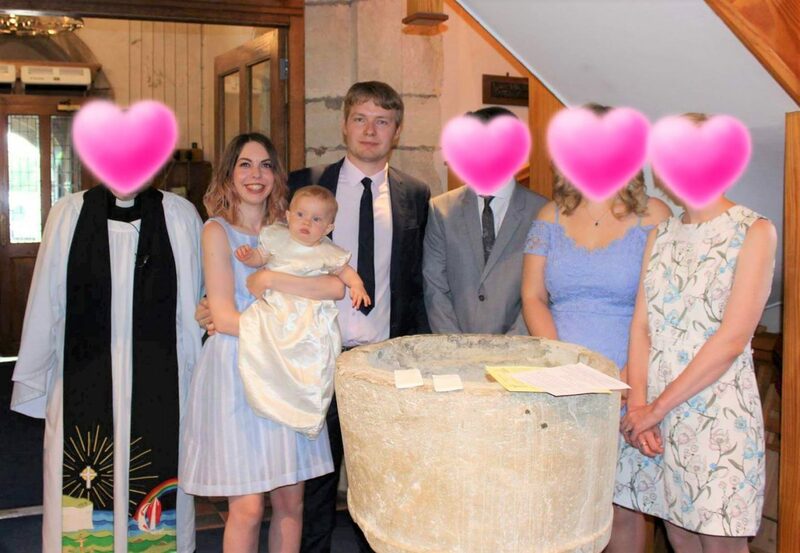 We finally had your christening this month! 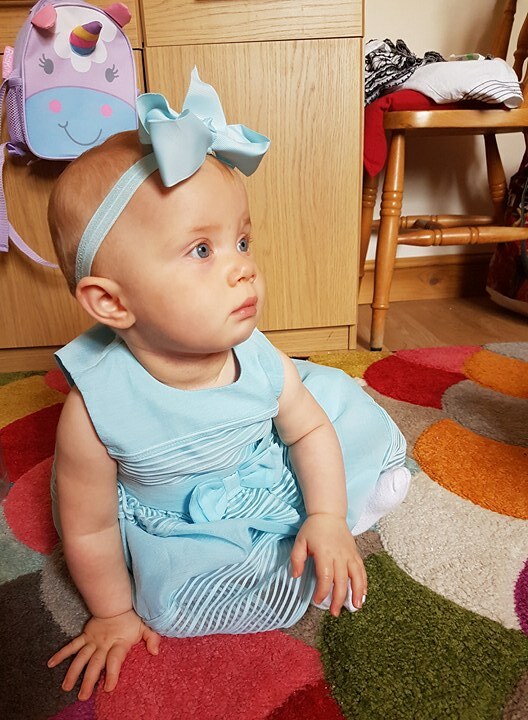 You looked gorgeous and we had a lovely day with friends and family, including your new Godparents! Over the summer holidays our routine has changed a little. Some of the groups and classes we used to go to are closed while schools are closed. We’ve still done lots of things though. One thing we’ve started doing is going to Pips of Rochester on a weekly basis to talk about the fruit together. Then we choose you some to eat. You absolutely love the plums that I buy from there! 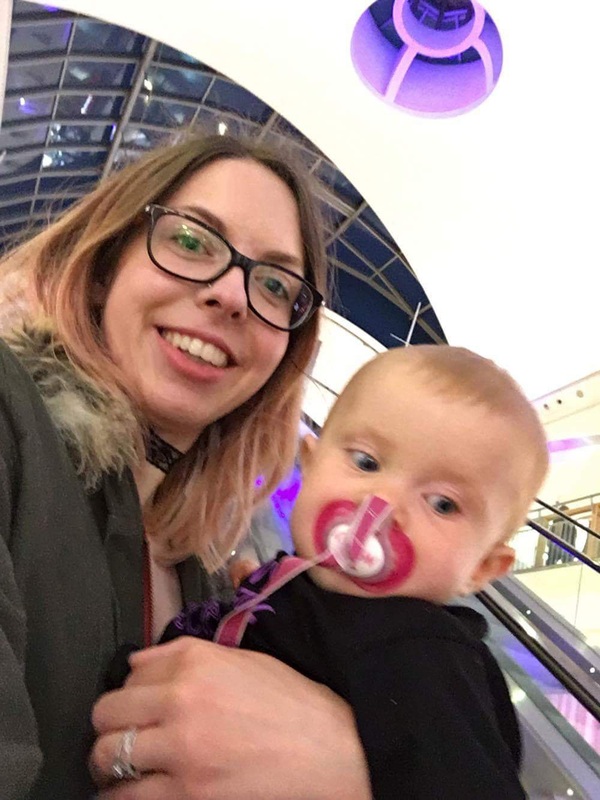 Usually you’re in your pushchair so we go in the lift! However, on one particular visit to Bluewater, we were missing something from the pushchair. Daddy and I carried you instead, as we didn’t have much to get. I’m not too sure what you made of the escalator! 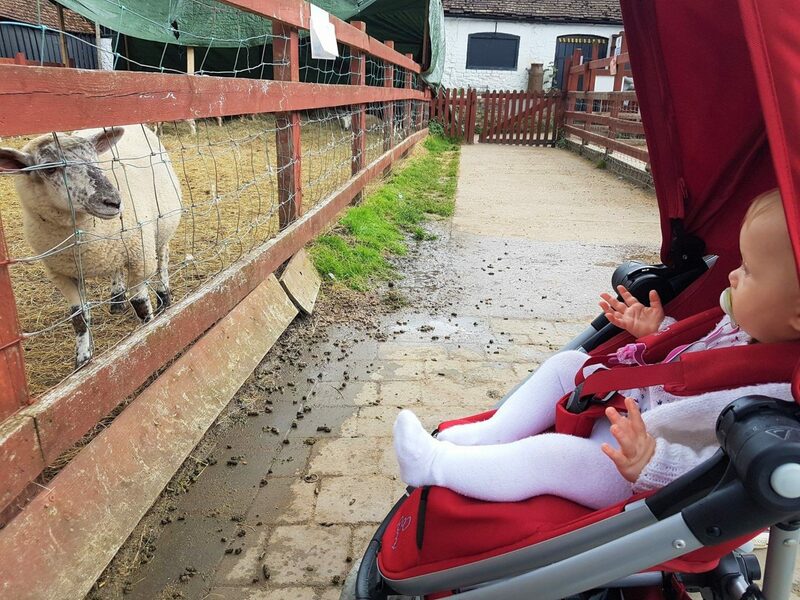 We took you to Kent Life, as you love animals! 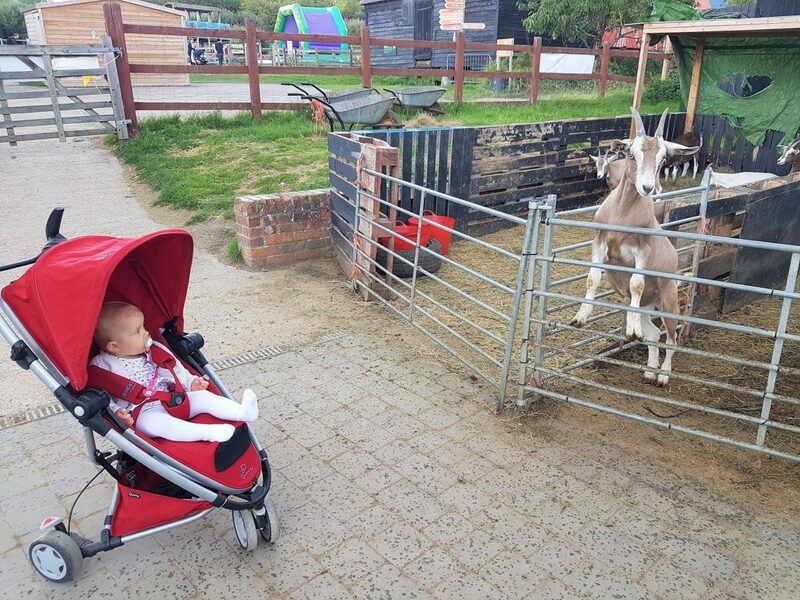 You saw chickens, goats, pigs, sheep and geese for the first time. You were absolutely transfixed! The sheep seemed to make you happy and you were waving at them. One came up to have a closer look at you as you said hello! Greenwich Park is a firm favourite of Daddy and I’s. 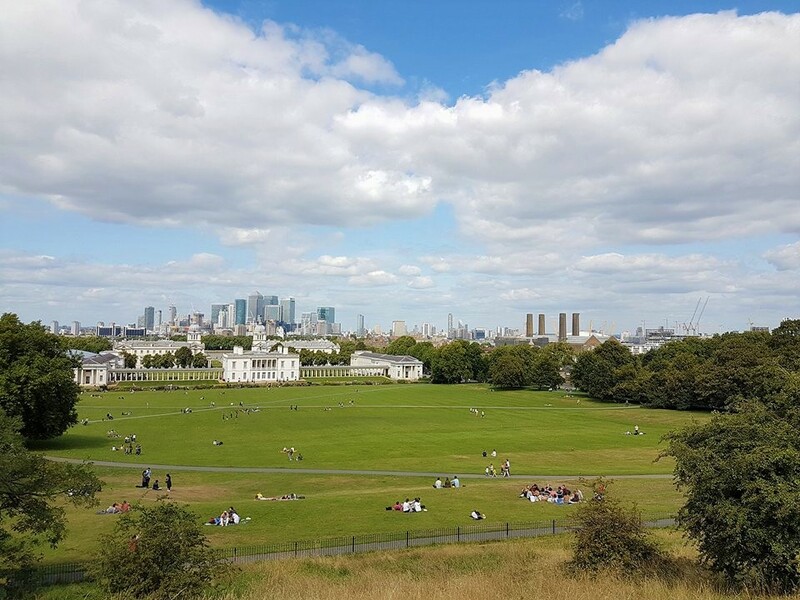 We went for our first family trip there last weekend and showed you landmarks such as the observatory and Canary Wharf. 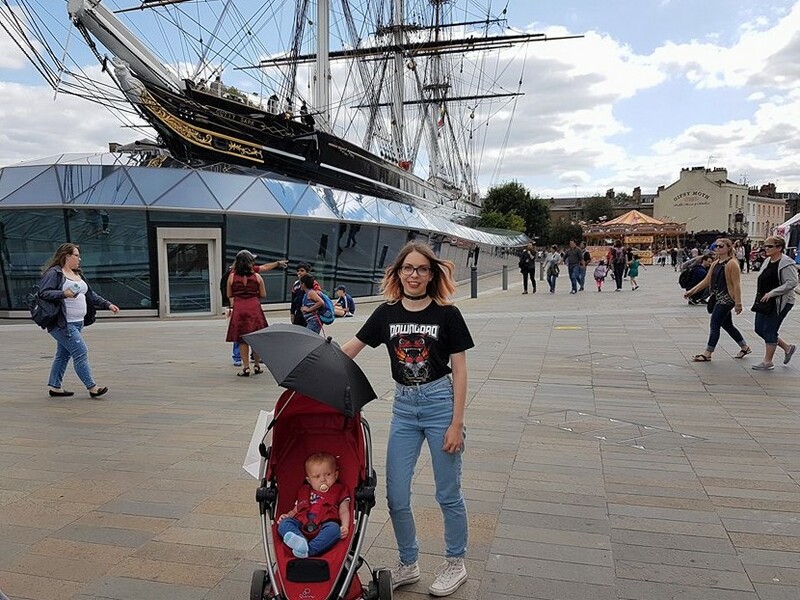 We also had a wander around Greenwich and showed you the Cutty Sark. 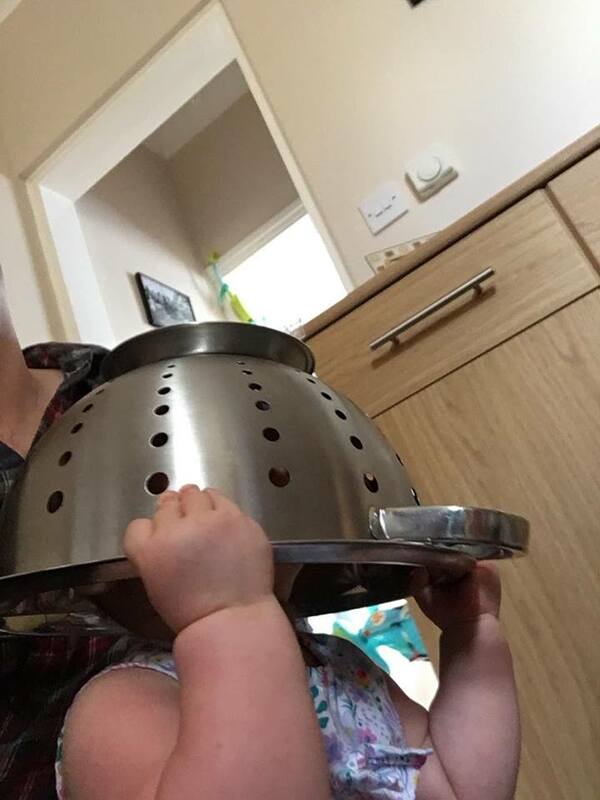 I’m looking forward to taking you on board when you’re older. Maybe you can even wear the captain hat that I was bought there when I was about 6 if Nanny and Grandad still have it somewhere! 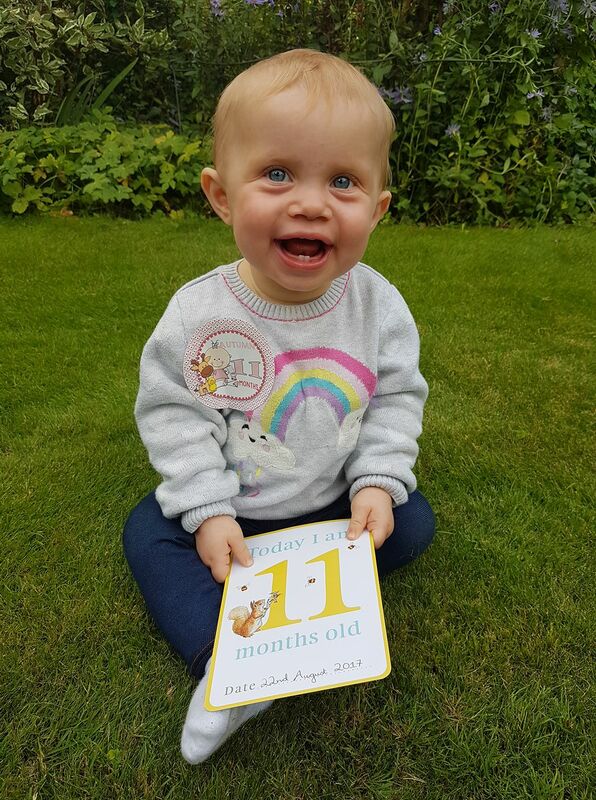 I’m currently enjoying planning your first birthday party and am really looking forward to it. I wonder what adventures our next month together will bring! I loved this post. The way it’s written, as if it is a diary, makes it so much cute and personal!